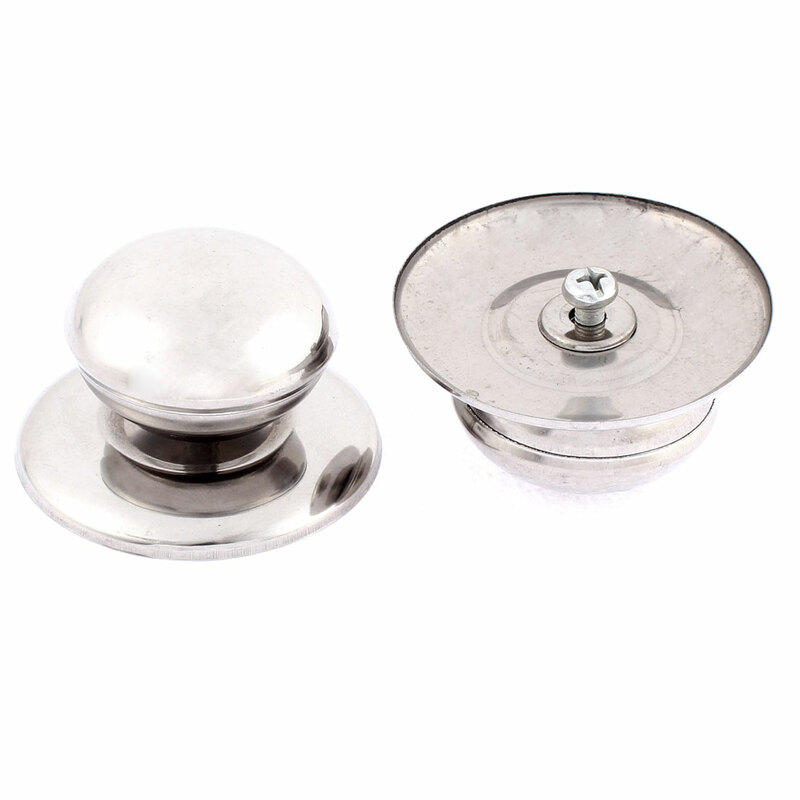 1.Stainless Steel material Knob for pot lid, combine good looking and long time use together. 2.Ideal replacement for the old and damaged knob of pot lid and pan lid. 3.Easy to install and help protect your finger from heat. Net Weight: 39g; Bottom Diameter: 57 mm/ 2.2"
Top Diameter: 42 mm/ 1.65"